SermonAudio.com | SermonAudio Tip: SermonAudio App for BlackBerry Mobile Phones! 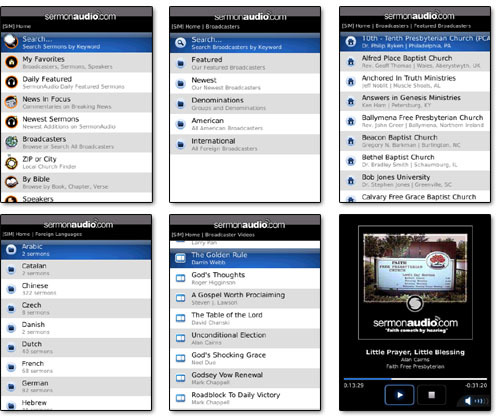 SermonAudio App for BlackBerry Mobile Phones! We're very happy to announce our support for the BlackBerry family of phones so that now you can listen to sermons, watch videos, and access other resources on SermonAudio.com -- instantly! It's our own native BlackBerry app available completely free of charge! Minimum BlackBerry OS 4.3 is required. There are two easy ways to download the app. First, you can get it from the BlackBerry App World directly from your phone (simply search for "sermons" in the app catalog). Or, you can go to www.sermonaudio.com/blackberry directly from your BlackBerry's browser and download the app from our servers. New! 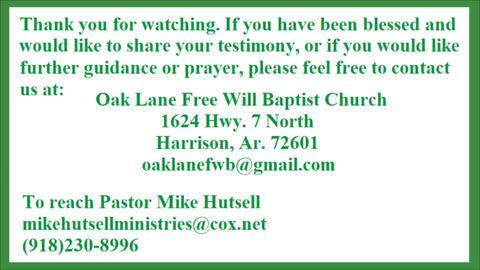 Live Video Webcast Support! You can now watch live video webcasts from supported SermonAudio broadcasters over WIFI, 3G, EDGE, or EVDO connection on your BlackBerry phone! Tune in at any time, any place! SermonAudio BlackBerry Edition allows you to easily browse and search through our library of over 1,665,000+ FREE MP3 sermons (and many videos) from thousands of different speakers and listen to any of them immediately on-the-go with your mobile phone! No need to wait for downloads anymore! You can find faithful churches in your area or while away from home using our handy Local Church Finder by typing in your ZIP code or partial city name. We also have many international broadcasters and sermons in foreign languages. Listen to Spurgeon's Morning & Evening devotional. New! Built-in player allows for fast & easy listening! New! Optionally play in Blackberry's own media player! New! My Church gives you convenient, 1-click access to your home church! New! Video streaming over any connection: 3G, EDGE, EVDO, WIFI. New! Live video webcasting for supported broadcasters! Your Favorites-To-Go! PLUS and FULL Members can access your favorite things on your BlackBerry. 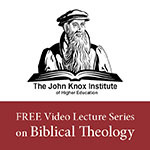 A sermon you want to listen to on-the-go? Simply adding it to your "favorite sermons" on the site will bring it to your "favorite sermons" list on your phone! My Church 1-Click Access! Is your home church broadcasting on SermonAudio? Go to the "My Church" menu item and type in your church's Member ID to gain easy access to your own church's sermons! Don't remember the Member ID? Browse to your church in the Broadcasters section and click on the "Set As My Church" option there. Easy! A new evangelistic tool! The BlackBerry is the most popular smartphone among U.S. businesses. Therefore, what a great way to introduce a business professional or co-worker to a wealth of free sermon material on SermonAudio! 10/23/10 - Version 1.9.1 allows for streaming video over 3G as well as WIFI. Also includes LIVE video webcasting support over 3G/WIFI. 9/2/10 - Version 1.9 fixed a minor bug involving video playback and external player support. Cosmetic fix to splash screen loading. 6/29/10 - Version 1.8 fixed a minor bug involving logging sermon downloads. 6/5/10 - Version 1.7 added the My Church feature that allows 1-click convenient access to your home church on SermonAudio. Simply type in your church's Member ID when prompted. This allows you to easily give instructions for your own church people or on your own church website on how to add their home church to this app. 5/11/10 - Version 1.6 is a rollup version of a number of minor bug fixes as well as a major new feature involving an audio player built-into the app allowing for fast and trouble-free loading. The player displays the album art associated with the broadcaster account. Optionally, you can use the context-menu in the app to select the external media player to play the sermon instead. Benefits of using the external player include the ability to scrub through the audio as well as use any bluetooth-enabled audio device. 4/20/10 - Version 1.0 is launched and is our first-ever BlackBerry native app. We hope you'll enjoy this new way to access SermonAudio! Great app! What I've been looking for. What if I cant find a certain pastor or broadcaster? Can I recommend one to be added? Yes, I too would also love to have this app for BB10 OS. I just wanted to request the app for BlackBerry 10, also. Please update this app or create an app for BlackBerry 10. Yes, I would also like to see support for the BlackBerry 10. Had SermonAudio on my Torch, but have upgraded to the BB10, but there is no app available. I was really looking forward to using SermonAudio on my Blackberry Playbook, but it doesn't seem to be supported. It would be great if a Playbook app was available. Will data charges apply to the whole time am am listening if not on wifi? I want to listen while I drive through my stereo adapter but don't want to rack up huge data charges. Yes. That is correct. If you are not on WIFI, there is no other way to get the data other than via the data charges on the phone. this error is because you need give rights allow, for this application, go to third applications and give allow. are there any plans for releasing a sermonaudio app for the blackberry playbook tablet? I have the same problem as many others - playing the sermon gives me about 18 minutes on the app's media player and about 25 on the external media player. Either way, it still cuts off. I have a Blackberry Bold 9930. Any help? Any fixes on the way? I *really* love this app, but will go in search of one that works even if i have to pay for it, if this cannot be addressed. Normally, these kinds of issues are network-related. Even if there is a momentary glitch in the network, it will produce this result. Our recommendation would be to use the WIFI setting and/or download the MP3 sermon first and then play with the external player. Thank you. I have a BB curve and had no problems downloading the app, or listening to the sermons. Like others have mentioned, I am experiencing the sermons stop after about 3/4th's of the sermon has played. Please fix this, as these audio sermons are wonderful. Also, please add some of the more well known preachers of today, Tony Evans and Joel Osteen, among others. This app is so helpful and helps me get through the day. Thank you. Try using the "external player" option and see if that helps. Thanks.